One of the most telltale signs your house siding is failing is discoloration. In Carol’s case, the once buttery yellow siding, had begun to noticeably fade in several areas. She began researching siding companies in Minneapolis and reached out to our team to schedule an appointment with a siding estimator. When we met with her, we also learned another source of frustration was her discolored and undersized gutters. In fact, some of her downspouts were ineffective because of their size, length, and the fact that’d been damaged. The final aspect of her curb appeal she wanted to correct was her run-down front door. After taking the time to understand her wish list, we put together a plan to commence her custom home renovations in Minneapolis. The aluminum siding had become discolored in numerous places. Siding: Aluminum was once a popular home siding choice. However, its use has declined in recent years. It’s susceptible to scratching, discoloration, corrosion, and denting. In order to keep aluminum siding looking its best repainting every decade is a necessity. After learning about the materials we offer for siding installation she opted for seamless steel. Steel siding offers more peace of mind because it has a longer lifespan, is unaffected by extreme temperature swings, and does not need to be repainted. 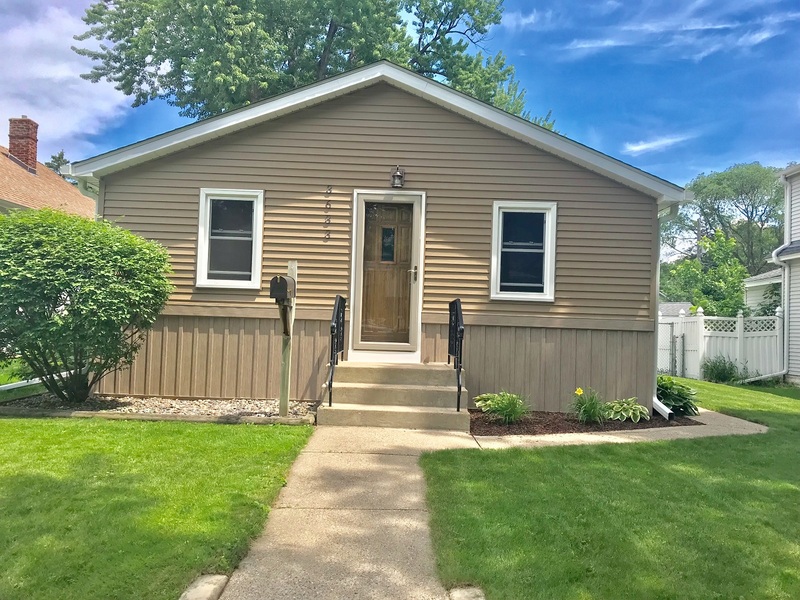 When it came to siding color selection, Carol chose a light brown tone that was a better complement to her home’s asphalt roof. Door: Consistently, the installation of a steel entry door ranks as one of home improvement projects with the highest return on investment. Not only are they secure and durable, but they provide a superb first impression to guests. To complete her exterior transformation, Carol chose to have us install a Wadena steel entry door. Antique brass hardware and a door wrap that matched her new siding proved to be a winning combination. Gutters: The landscaping around Carol’s home was picturesque. However, the property’s gutters were too small to effectively manage heavy rainfall. This led to soil erosion near the landscaping. In addition, the home’s downspouts were too short to effectively filter water away from the home’s foundation. A final concern about her rain gutters was the losing battle they fought against clogging each fall because of the towering trees that surrounded the property. LeafGuard® Brand Gutters were the ideal solution to all of these problems. The patented, one-piece system is guaranteed to never clog. In the event it does, our team, not Carol, will be the ones addressing the issue free of charge. Their oversize design makes them ideal for effectively filtering rain away from a home. Homeowners that choose to have LeafGuard® gutter installation completed on their property experience the ultimate peace of mind when they learn they’ve been awarded the Good Housekeeping Seal. 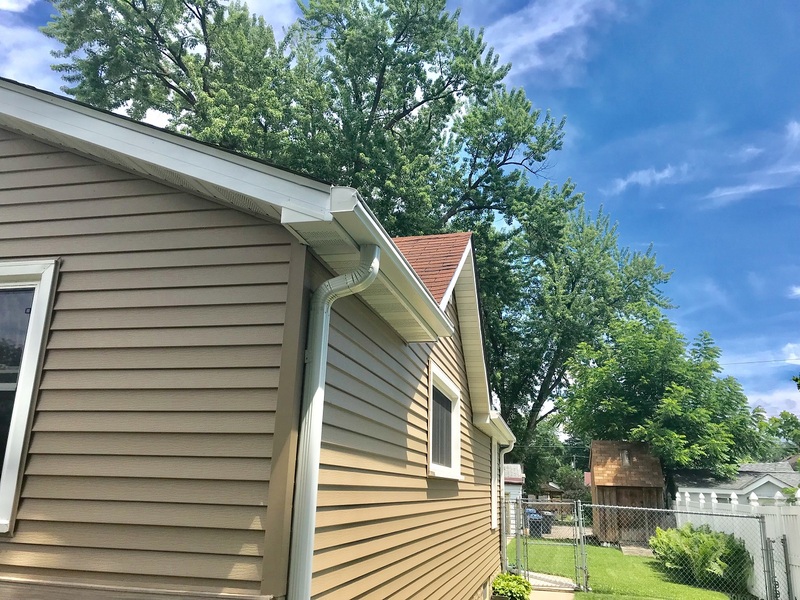 To match her window trim, and new soffit and fascia, Carol opted for white LeafGuard® Gutters with lengthy, matching downspouts. "Lindus installed our LeafGuard Gutters® and did a fantastic job. Both the salesperson and installers were very professional and our new gutters look great! We will definitely use them again!" - Benjamin L.
"Timely professional installation, with attention to detail, and care for our property!" - Tom E.
"Doug met with us at our home and thoroughly examined and measured the windows in order to prepare a proposal. Work was scheduled for three days, beginning January 31, based on our schedules. Jake, as lead worker, and his 3-man team arrived on time each day and were ready to start. They were polite, humorous, and professional while in our home." - Rebecca L.
"The job went very well, in spite of the cold weather." - Karen H.
"Our experience was wonderful, start to finish. Communication was great throughout the process. We had one small issue (more with me than then them) with installation and they sent someone back over to change our specifications the very next day. Appreciated the prompt response. The gutters look beautiful!" - Susan H.